Mr Green – Slot Hearts Giveaway! 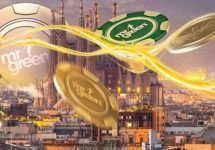 Win one of ten €200 cash prizes! Turn Valentine’s Day into something special for your loved ones this year. Take part in Mr. Green’s “Slot Hearts” giveaway and spin on the on one or all selected slots to collect tickets to the prize draw on 6th February 2018, just in time to order those extra beautiful flower arrangements or reserve a table at and exclusive dining establishment. Mr. Green – 10 Years of Entertainment: While you are competing for those extra cash prizes for Valentine’s Day, do not forget to enjoy as well the celebrations for Mr. Green special anniversary. This month is focused on Live Casino entertainment with two exclusive holidays to Las Vegas up for grabs plus tons of other rewards and prizes. 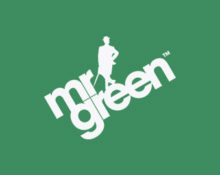 Mr. Green decided to make Valentine’s Day extra special this year by giving away ten cash prizes worth €200 each. That will pay for that extra flower bouquet or a romantic dinner at an exclusive restaurant. To take part, players have to spin on a selection of 6 slots to collect tickets to the prize draw on 6th February 2018. Earning tickets: Get one ticket for every 100 spins on the selected games, at any bet size. 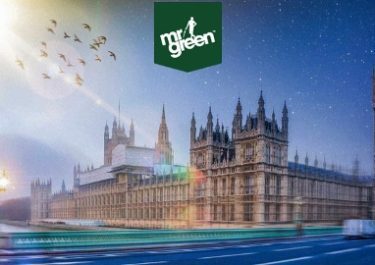 On 6th February 2018, Mr. Green wil randomly draw 10 winning tickets and credited the prizes in cash to the winners’ accounts within 72 hours after the draw. Terms and conditions apply.